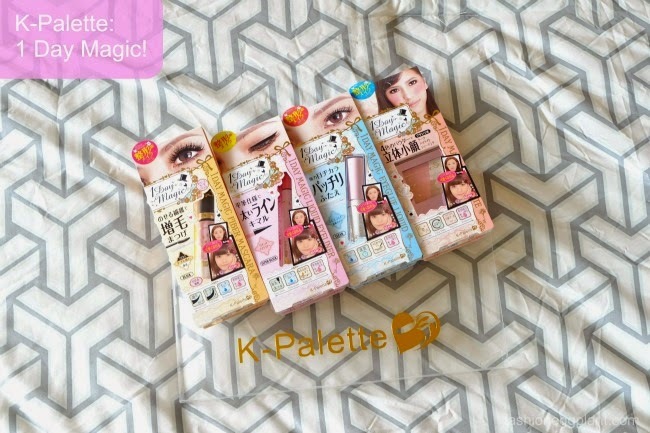 That is the reason why I love K-Palette so much. Their products are very easy to use and you get perfect results each time with very minimal effort AND it stays on all day without smudging. You can even workout and go swimming without having to worry about it coming off or looking like a panda by the end of your session. I saw no flaw with their previous collection. I was satisfied and super happy with it. For me there was no need for any improvements and then they came out with the 1 Day Magic Series and it totally blew me away on the first try. These products are on a NEED TO TRY basis. First up, the 1 Day Magic Eyelid Glue: This new formula isn't just for creating double eyelids, it also doubles as a great glue for falsies. Attaching false eyelashes is difficult enough as it is. Using the wrong glue will make it a frustrating and almost impossible task to accomplish. 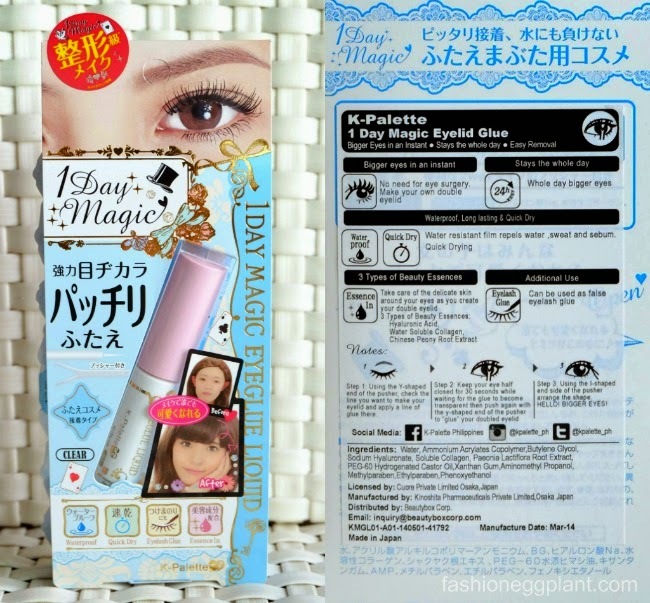 With the 1 Day Magic Eyelid Glue, even beginners will be able to attach falsies with ease. 2. 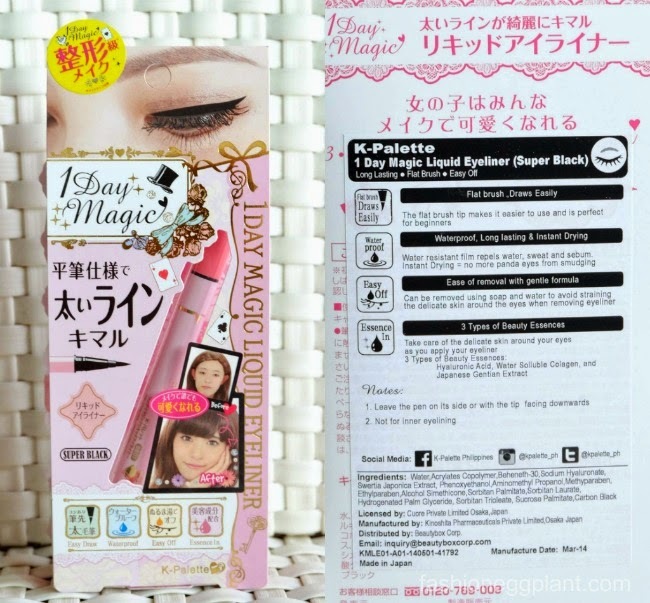 1 Day Magic Fiber Mascara: Having long beautiful eyelashes is super important to me. I feel that it has the ability to really transform my face and make it look more awake and radiant. I've tried other fiber mascaras before but never bothered to purchase one because although I thought the idea was great, application was often messy and difficult (fibers and smudge all over the place :P) plus the end result always looked unnatural and clumpy. 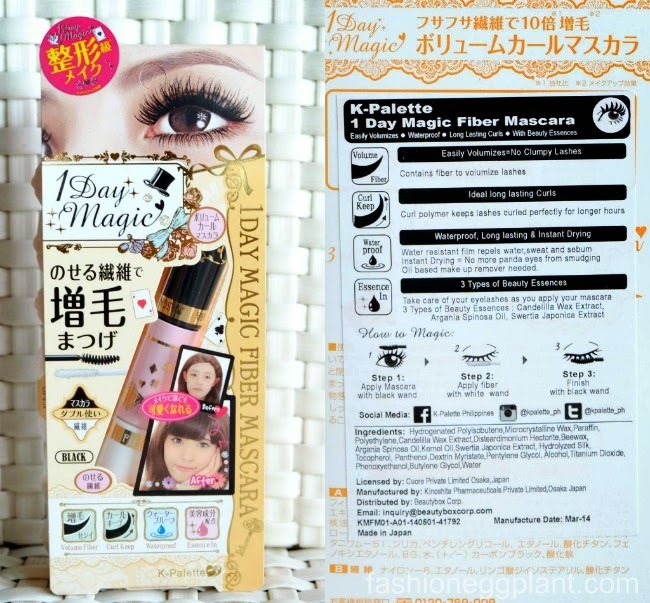 K-Palette's new 1 Day Magic Fiber Mascara is a dream come true for me. It produces thick, volumized and gorgeous looking eyelashes with just a single application. The look is natural and curly even without help from a curlash. To use, apply a coat of mascara followed by a coat of fiber then finish with a final coat of mascara. 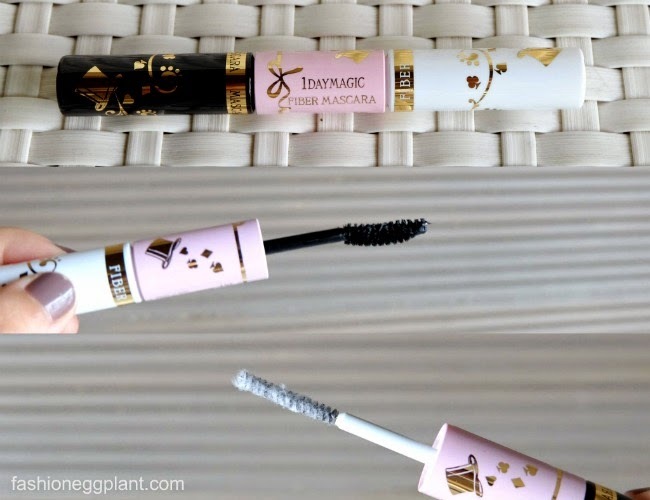 Because the mascara dries instantly, there's no danger of smudging and messy, sticky fibers ending up all over your eyelash and lower lash area. It also glides on smoothly with zero clumps. 3. 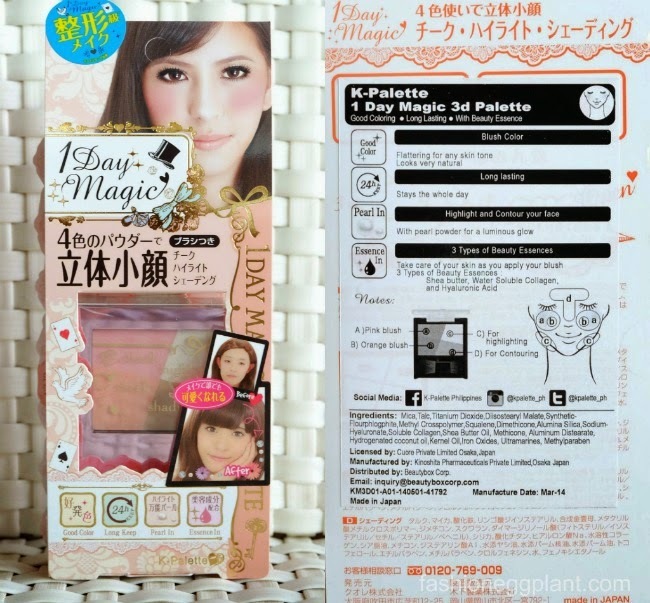 1 Day Magic 3D Palette: a new favorite of mine. Perfect for beginners and those who are always in a hurry. The 1 Day Magic 3D Palette stays on for 24 hours so no need to touch up + it makes the seemingly daunting tasks of highlighting and contouring super easy and convenient to accomplish perfectly in just a minute. 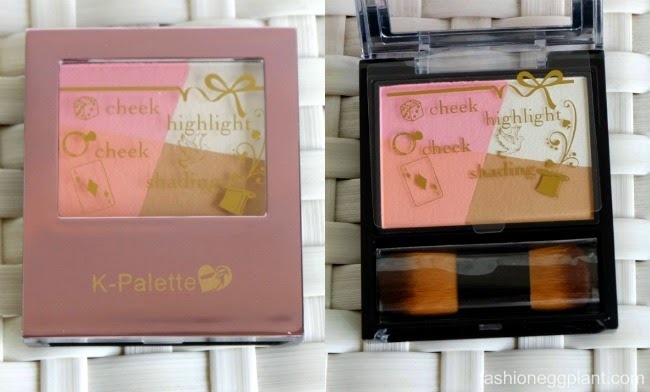 The compact comes with a high quality, double-sided brush and a 4-part palette that includes blush for your outer cheek and inner cheek, a highlighter, and a dark shading pigment for contouring. 4. 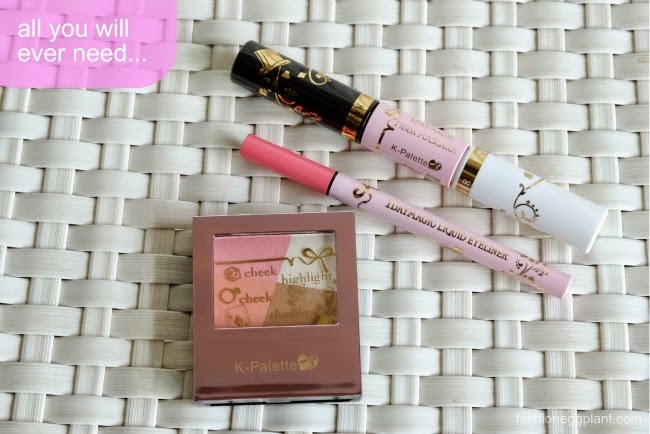 1 Day Magic Liquid Eyeliner: K Palette is the only liquid eyeliner I use because it is very easy to apply and convenient to take off (that seems to be the underlying trend here, easy and convenient :P). It's super pigmented, glides on beautifully making it super simple to create the perfect cat's eye. What I love most is that it does not smudge no matter how oily your lids get and yet it is easily removed with just soap and water. Other waterproof eyeliners often leave an unsightly dark shadow on my under eyes even after using a make-up remover and soap so I spend the entire following day looking haggard. I hate it which is why I always stick with this brand. 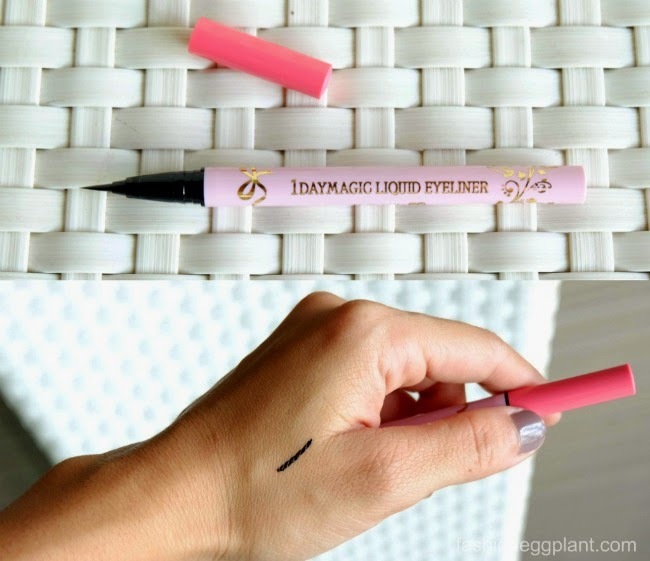 The new 1 Day Magic Liquid Eyeliner still features the same characteristics I love but now comes with a brush that is 3 times thicker than its predecessor and 3 times easier to use. The thicker brush feels sturdy and structured, absorbs more product allowing you to draw a perfect line with just one stroke. 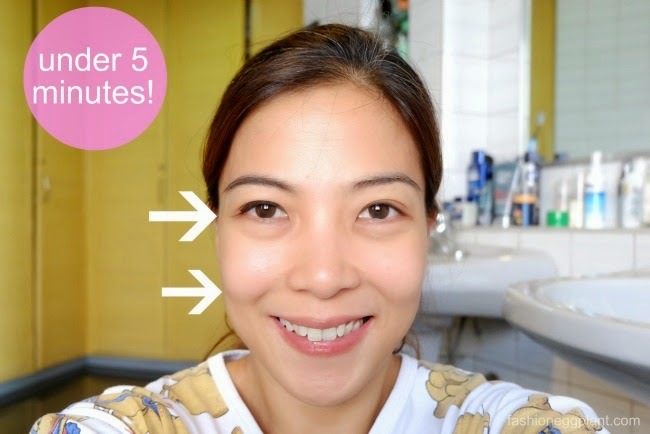 Lookie, did this in under 5 minutes, using only those 3 products + my K-Palette 2-Way Lasting Eyebrow Pen on my right eye, kept the left side sans make-up. No BB Cream, no primer, nothing. Played with it right after my morning coffee which is why I'm still in my nightgown :P Just used the 3D palette on my face + eyeliner, mascara, no curlash either but look how much longer my lashes look on the left plus it even curls outwards! The new 1 Day Magic Series is a definite must-have for every woman. It's also great to give to make-up obsessed teenagers cause there's no danger for them to look unnatural or older than their age when they use these. I promise, once you try these, you will never want to use anything else. K-Palette is available in Beauty Bar and The Beauty Source of Rustans Makati and Shangrila.